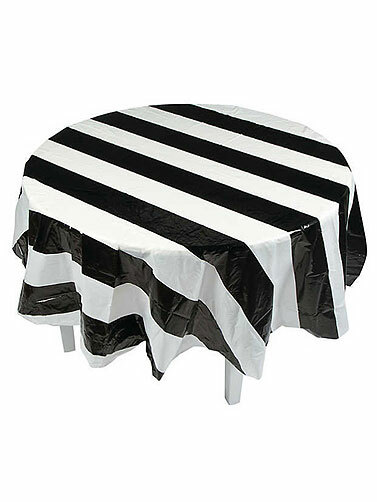 The Black and White Stripes Table Cover will set a decorative table for setting party drinks and food. Perfect table covering for a Jack Skellington or Pirate party. Package includes one round plastic table cover with black and white stripes. Black and White Stripes Table Cover measures 82" in diameter.